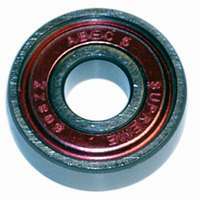 Low-cost bearings from Supreme ideal for hockey, aggressive and fitness. Closed for the lowest level of maintainance. My review is for the service provided by Skatepro - I needed to replace the wheels on a computer bag and they came up with the solution. Thank you.